One of our favorite MLM enema bag scammers, Tim Darnell, has officially been sentenced to IRS Hell. I'd like to see how his new venture as an Online Reputation Management Solutions business is prospering? If Tim Darnell can't fix his own reputation, how could he fix anyone's? Now he seems to be stuck with a whopping $97K IRS lein. That's what I call justice, just not enough of it. Last edited by Soapboxmom; 10-06-2011 at 08:34 AM. Hey Timmy, so how is that tax lien coming along? I guess your Millionaire Mindset didn't work too well, huh? This is hysterically funny and so true of our very own pal, Tim Darnell aka the Leaky Colostomy Bag. He's teaming up with Adam Horwitz, a 19 year old kid that claims you can make $30K per month by texting and tweeting. But, but, but Tim, I thought you were into your new venture of Online Reputation Management and attempting to salvage your own repulsive reputation and that of others that ripped off, scammed, and weaseled money out of the innocent and just plain stupid. You couldn't get a job at Pepe's and Lupe's Taco Haven once they Googled your name. Maybe you're going to try this to pay off those liens on your home? Less than 1% businesses have discovered Text Messaging Marketing, but that number is growing rapidly. Consider: 5 Billion cell phone users vs. 1.8 bil on Internet. 97% of all text messages are opened vs. less than 40% e-mails. This kid, Adam Horwitz has the generic get rich quick "pay me the cash" site along with his video that starts playing instantly. When you go to leave, you'll get a pop-up and request not to leave with a special offer. I love this kind of sleazy crap and the fools that fall for it. Amazing! I just can't wait to get my credit card out of my wallet. You would be correct. This one is pretty amusing too. He's mentioned in the beginning. Strange, huh? Tim Darnell involved with a scammer. The title of the clip doesn't leave much room for ambiguity, does it ??? The expose of young "Adam" in the middle of the video is hilarious. If the old saying “A man is known by the company he keeps” holds true, then what does it say about Darnell ???? I wonder if Darnell has ever thought about being totally "legit" ??? Maybe someone should explain what's involved in "going straight" so he can give it a try for a change. Perhaps a little "mea culpa, mea culpa, mea maxima culpa" followed by a publicly announced resolution to stay on the straight and narrow is in order. Tim and Cathy Darnell are once again delinquent on their property tax. Right after being sued for it last year. So much for that Chritstian millionaire mentor account. That mentoring sent you right down the toilet. You are a walking advertisement for not getting involved with you in any of your schemes as you have been mentored straight into pauperdom. Obviously, you are lacking in business acumen, knowledge of tax issues, marketing skills and so much more. Folks should hold and to their wallets and run. Run fast and hard if you approach. Who wants to be mentored straight into IRS TAX HELL??? Hilarious! Tim thought his way to pauperdom! Q. Are you a millionaire? 7 A. Probably by IRS definition. 8 Q. And by what definition are you not? 9 A. Cash in the bank. 13 considered a millionaire by -- according to the IRS. 17 is a single-person LLC. 18 Q. Well, you haven't filed for 2004, have you? 19 A. No. For 2004? 20 Q. I'm sorry, for 2005. 22 Q. Did you file one for 2004, income tax return? 24 are not using anymore, and we just got a brand new CPA. 2 not -- not obligated to do that. 3 Q. When is the last time you filed a return? 6 doesn't put my information into the public sector. 7 Q. How do -- how do you do that? 9 involvement with the IRS. 10 Q. What do you mean "legal involvement"? 19 Q. Is that what you are referring to? 24 produced? We only have 19 it looks like. 1 is not a problem. 2 Q. Now, tell me what Exhibit 13 is again. 10 A. No, I'm advising them of my status with them. 11 Q. What is your status with them? 13 certain aspects, various aspects about the IRS. 15 certain aspects of the IRS? 18 stands as fact and that satisfies their obligation. 19 Q. Okay. Have they responded to this? 20 A. Of course not. 24 A. For instance, a voluntary income tax system. 2 jail when they don't pay. I questioned them on that. 5 considerable research in over the years. 8 A. This one is 2002. 11 A. I'm sorry. Excuse me. It is 2004. 12 Q. Okay. Tax year 2004? 17 Q. You submitted it in 2004. 14 A. It's just a legal representation of the name. 15 A more correct legal representation. 25 creation of the state. 1 Q. What are you? 3 creation of the state. 9 that they have to answer by law for self-help remedy. 11 they have chosen not to answer. 12 Q. And until they answer, you don't have to pay? 14 Q. You don't have to pay or file a return? 15 A. That's correct. This is my filing right here. 17 you that few people are aware of. 22 arrangements with your lawyer to have you come back. That of course explains perfectly why Tim Darnell and Catherine / Cathy Starnater Darnell have a $97,265.17 tax lien for 2005. Each of them also have $8,000.00 liens for other years. Brilliant tax strategy. Everyone will be clamoring for Tim to act as their financial planner, insurance salesman and business advisor! jail when they don't pay," says Tim. Sounds like a good plan to me! Okay. Are income taxes withheld from her 15 salary? 20 Q. Do you file an income tax return? 22 Q. Do you file an income tax return on a IRS form? 24 Q. Have you always filed an income tax return? 25 A. We filed by affidavit for several years. 2 questions you posed in the affidavit? 3 A. They actually did last year, finally. 4 Q. And what were the questions that you posed? 9 in '33? And so that was an incredible study. 10 Q. Do you still have copies of the affidavits that 11 you filed? 16 A. I didn't read it. 17 Q. And your wife didn't tell you? 20 A. Neither one of us read it. 21 Q. Did you ever go back and pay any back taxes? 25 didn't mention a few minutes ago? 1 A. Well, it's ambiguous as to what it is. 6 you don't recognize that you haven't told me about? Ignoring official correspondence from the IRS takes a very special kind of stupid. The kind that gets one a $97,265.17 tax lien for 2005 to be exact. He should be the first in line as a non-citizen and non-resident of texas to refuse his Social Security checks when they arrive in the mail. Wouldn't want to burden him with anything from a major governmental agency. And, why should someone who doesn't feel obligated to pay his taxes get a dime??? I think I'm slowly getting the hang of this tax denier/sovrun citizen/natural born woman/single person LLC/breath of God thing. I'm having a bit of trouble with the transition between 'I don't owe nobody nuttin, but I'm entitled to everything" and "I have the right to rip off anyone I choose". It might sound good on paper, but, as far as putting it into practice, it seems to be a tad lopsided. Nothing's Gonna Stop the Rhino! In the midst of recording a new album, let’s see, number 24(?) – not sure, but certainly not the first, I figured out how to publish songs on rapidly growing Internet music providers like, iTunes, Rhapsody, Amazon, Spotify, eMusic, MediaNet, Zune, Nokia, Napster, and Thumbplay. The first song to get released is a rocker that did really well for my group, Dreamer, originally written, recorded and released in 1995 called, “The Rhino.” If you can spare $.99 and iTunes is your fave, go to iTunes (iTunes Store) on your computer, or download it from http://itunes.com; go to iTunes Store, and put Tim Darnell in the search box found at the top right of the site. You can download The Rhino for a whopping 99 centavos, and play it on your computer or smart phone (iPod, etc). The creative juices are flowing again, and it’s so weird for the muse to appear after a considerable absence. It’s like getting the urge to play golf after a long lay-off, and pleasantly finding out you can still hit the ball (at least to some extent). Desi Red was ultra-creative musically, writing almost all our performance material along with the addition of a few cover tunes in our sets, depending on the gig. We first met at Texas Tech in Lubbock in 1978. I’m a little hazy on who called who first, but we originally called ourselves, Shadowfax, playing primarily at the Rox night club in Lubbock, a hotbed for big-name concert acts, and several other very good rock bands from the panhandle. Perry Jarrell was the talented keyboardist and vocalist that made up the original foursome in Shadowfax. Perry fell in love with a beautiful TTU co-ed; and, eventually made the better choice of staying in the band or marrying Eva (the latter was his choice). They now live in Houston. We surprise crashed his 50th birthday party two years ago, jamming with him and his current band – way too much fun! Paul Nabors joined us a little after Perry left, playing both keys, guitar and vocals. Paul is now in Big Spring, Texas. More on Desi Red and current music collaboration later. At the bargain basement price of .49 it is still way overpriced. Listen to the clip if you have a barf bag handy. That silly song isn't going to make a dent in his tax liens and back property tax. An abiding fundamental principle of our Company, Advantage Conferences is that people are our most important asset. We have, and will continue to emphasize and celebrate the intrinsic value of all people, and especially each person associated with us. Bottom lines, projections, profit margins, etc., are all issues that I am aware of and concerned about as the owner of the Company. However, these issues pale in comparison to the importance of our individuals. 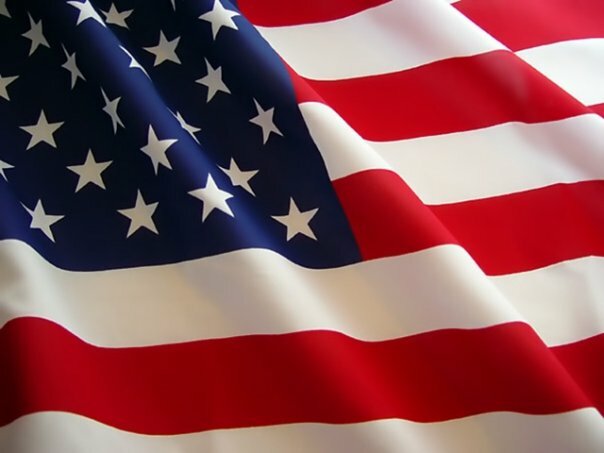 Each person that hitches their wagon to the star of our ideals and progressive campaigns is created by God and has infinite value and importance. Accordingly, I daily seek to understand the needs and concerns of each of our members. Our business model has been constructed around satisfying and enhancing the financial conditions of our Reps, but there is much more that must be attended to. Our members have families. Most have children. Each family unit (including our singles) experiences crises, failure, sickness, loss, frustrations, and chaos to some extent at different times in the course of living life. I am aware of all of these things. It is for this reason that we make no small effort to guide our members in matters of spiritual growth and ethics. One small manifestation of that ongoing effort is our weekly publication of The Messenger. Each issue attempts to deliver to our members and subscribers Biblical truths that provide guidance and help in virtually every facet of their lives. There is no question that God has his hand in my life, my family, and on this business, and that he amazingly watches over each of us minute by minute. He has His hand on you as well. He is our guide and companion on a daily basis, and for that I am personally humbled and grateful. It is important for you to understand that the business of Advantage Conferences is a business that belongs to God. And so - in every policy we institute, every word we speak, and literally everything we do, we do so dedicated to amplifying His glory and not our own. I am awestruck by how God can use imperfect people like myself and our Reps to further His Kingdom, if we will let Him. I do not write this to impress you or lure you to our business. I do so to let you in on where I stand and how this Company operates. If you prefer a business to be secular, then you will find many of our competitors to be a better fit. If you find the idea that God is brought up on a regular basis, that He is our Guiding Hand, and that the truth of the Bible is our absolute guide to be unsettling, then you will probably not be very comfortable here. But the idea of separating God from your business is a serious mistake in judgment. Attempting to keep the Creator out of that which He created is nonsense. We indeed are resolute in creating profits and better financial situations for hundreds and even thousands of Reps. But we are more resolute in doing business correctly, with God as our guide, Jesus Christ as our model, and constantly recognizing and delighting in the value of our people for their intrinsic worth. You are infinitely valuable. You are a child of God. I encourage you to live your life with that in mind. You will be treated that way here. That is all talk. Tim Darnell has destroyed the lives of hundreds of trusting, innocent Christians. Advantage Conferences and his other conference schemes have left folks hungry, facing foreclosure, drowning in credit card debt, having spent retirement funds away and in desperate straights financially. He filed a frivolous harassment suit against me and continues to try to tarnish my good name. He stole Cottonwood Creek Baptist Church's name and his father's church's name to set up his bogus charity (used as a publicity generater for his Advantage Conferences scam.) His refusal to pay taxes and ridiculous tax protests show just how unChristian and uncaring Tim Darnell really is. Of course, the back property tax may get the house foreclosed first. When the tax is not paid for a second year in a row in January 2012 they are sure to face a lawsuit. If they do not pay the tax in full or stay current on a 36 month payment plan and the coming years taxes, then the taxing districts will get the property. It wouldn't matter who gets the house in a divorce as the lien follows the property. The question seems to be who will get the house first. Will the IRS garnish her wages? Tim Darnell has mentored himself and his family into financial disaster. I don't think there will be any escape from Uncle Sam at this juncture. 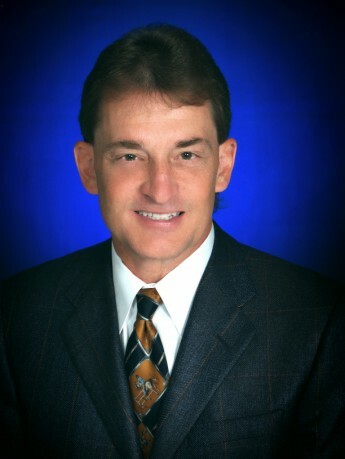 Independent Financial Practitioner - We optimize each Client's financial situation regarding Retirement Income; Capital Preservation; Wealth Transfers; Optimized ROI (Texas only) on principle or portion of principle; Key Man Insurance for Business Valuation & Business Protection; and Long Term Care protection. Our Company presents ongoing Financial Workshops that are highly rated by 99% plus of all Attendees, and are proven to dramatically improve Attendee clarity and grasp of oftentimes confusing personal, estate and business financial issues. That delusional liar is obviously referring to Advantage Conferences where 98% of the representatives (everyone was a rep) lost money. Many were out thousands and thousands of dollars. Folks went hungry, lost homes, drowned in credit card debt, took out loans they could not pay off, spent retirement funds and suffered serious economic harm in many cases. Referral Key knows all about the lying scammer and should be removing his profile. I assume he will produce proof of this satisfaction rate he is claiming. Cathy Darnell is obviously screwed. If scammers wife was smart she would check out this excellent info and run! Here are some really good tips on how to prepare for a divorce, including the importance of understanding your financial situation and why it is so important to have a record of all your important paperwork. You’ll also discover steps you can take to protect your credit and safeguard your finances, plus how to document your possessions and handle the taxes. When preparing for a divorce, time is your friend because it allows you to not only plan for the actual divorce, but also for your life afterward. 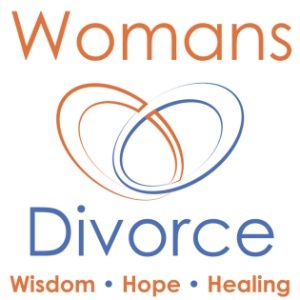 At WomansDivorce.com we have one focus - helping women survive divorce and rebuild their lives. Last edited by Soapboxmom; 11-08-2017 at 04:52 PM. Each person’s mental health is so crucial to success in business. At Advantage Conferences, excellent mental health is indeed part of the improved Mindset that we refer to so often. Marginal or Poor mental health always results in non-success. The degree of mental health a person has and the level of success they can attain go hand in hand. Excellent mental health opens the door to success and allows the Champion to excel in the game in the long run. What factors contribute to excellent mental health? One major factor is The Action Of Creating. – Creation is God’s ultimate work. He said, “Let there be Light” and there was. We come closer to being Godly by joining in His creative work. We are most alive when we are creating. We are most noticed when we are creating. We are most appreciated when we are creating. We are most followed when we are creating. We are most profitable when we are creating and implementing. Also Implementing Sustained Unwavering Belief – THE FAITH FACTOR – Job 13:15 “Though He slay me, I will hope in Him.” Unconquerable Faith. Unquenchable Spirit. Undeniable Presence. These lead to Unprecedented Accomplishment. I encourage Mike Melvin to steer clear of this extremely mentally ill business failure and pauper with a $97,265.17 tax lien, Tim Darnell, who wrote this inane drivel. Tim Darnell garnered that lien in 2005 while he was playing tax protester and mentoring Mike Melvin and hundreds of others into financial disaster with his pyrammid scheme Advantage Conferences. For once I think Tim hit the nail on the head when he wrote this. His poor mental health has absolutely resulted in non-success. How should we rate Tim's mental health with Advantage Conferences bankrupt and in the hole tens of thousands and Tim himself in the hole tens of thousands more personally??? intense study for you or me to come anywhere close to his depth of professional knowledge. I highly value my Attorneys for their knowledge of laws regarding business and civil “do’s and dont’s”. Mastering State laws alone requires endless hours of study and involvement – time that I simply don’t have. I highly value my Pastor for his command of scripture and how it applies to our lives. I value the plumber, painter, automobile repairman, and satellite installation professional (to name a few) who perform tasks I would easily botch if I were to attempt them on my own. Too many people rely on their own thinking regarding their financial situation – their money, investments, retirement, and life insurance. After all, it is their money! While I encourage reading to better understand money in all of its many applications, Financial Professionals spend many years of their life learning the in’s and out’s of this deep and often elusive field of knowledge. In my experience as a Financial Professional, I’ve found that few people grasp even the basics, which is totally understandable. Very little financial training takes place in public education. I was once a person who was utterly baffled by the vast array of options, financial products, markets, tax issues, and retirement possibilities. I didn’t know the difference in a “qualified fund” and a “non-qualified fund.” The related concept of ‘Before tax dollars’, and ‘after tax dollars’ was vague for me at best. So, when I made the choice to become a Financial Professional, I chose to approach the field objectively. I chose to not be attached to any one financial philosophy or any one company. I knew I did not want to be a “Captive Agent” of a particular company where my ability to offer the best solutions and advise to my clients might be hampered or limited. The bottom line is that I became aware of hundreds of financial facts and fictions about which the general public is not aware. I don’t profess to know it all and I’m still learning – just this week, I attended seven hours of training. Last week included approximately 18 hours of intense, detailed training – this after many years of past, highly important training… Thirty minutes from now I will attend another two hour, powerful session revealing case study after case study of financial decisions and maneuvers that worked extremely well, including some that failed miserably. So, my advice is to use a Professional when it comes to your finances. That decision will make a significant difference for your financial picture now and in the future – for your retirement and your children’s financial condition as well! Don’t use me to shoe your horse or repair your car, and don’t use your farrier, car repairman or brother-in-law to give you financial advice. Use a dedicated professional to do their job in their respective areas of expertise. They’ll benefit you much more than if you try to do it yourself. You are still a person who was utterly baffled by the vast array of options, financial products, markets, tax issues, and retirement possibilities. Legitimate insurance companies won't touch a guy with his tax liens, debt, business bankruptcies and the like. He is hot to sell you insurance products that will garner him a huge commission as he is in desperate financial straights. His days as a renegade tax protester who filed Affidavits and refused to pay his taxes are finally catching up with him. Soon he may able to share with you the joys of his wife getting garnished by the IRS to satisfy their $97,265.17 tax lien and / or the back property tax causing his home to be foreclosed. Don't let him mentor you into financial disaster with him! Hang on to your wallets and run, folks!!!!! You can only view this photo if you sign up to XING. All you need to do is sign up for free on XING. Haves Mindset MentoringSM for entrepreneurs and those thining about starting their own business. Ongoing training by multi-millionaire, highly successful business owners. "If you want to be a millionaire, you've got to think like a millionaire." Delusional. No millionaires will give him the time of day and he thought his way straight to financial disaster! This dishonest tripe should be removed! What a challenging time for my family, my employees, my Representatives (mostly very good friends), and many others who were distressed to see the business and me go through such an arduous ordeal. I had bill collectors calling non-stop, Sunday through Saturday for well over a year, but we finally erased more than $200,000.00 in credit card debt! How nice to be able to answer your phone and it’s not a bill collector!!! When you choose to live in an Abundance Model, rather than a Scarcity Model (Scared City), you will find incredible new options are available. There is more than enough abundance, supplies, and business for everyone to thrive. For instance, I have recently had to file a law suit against an agency that falsely and erroneously made statements about my company. The statements were ridiculously false, yet they somewhat tarnished my company and me personally to those who don’t really know who I am and what we do. The statements were verifiably false and the defendant admitted under oath that his statement was made based on no experience of my industry. He stated that he was ignorant of my industry and had no knowledge of the very laws he thought I was breaking. Amazing! And yet they stood by their statement, refusing to retract their posting. What has been a sterling reputation was made questionable by their statements. 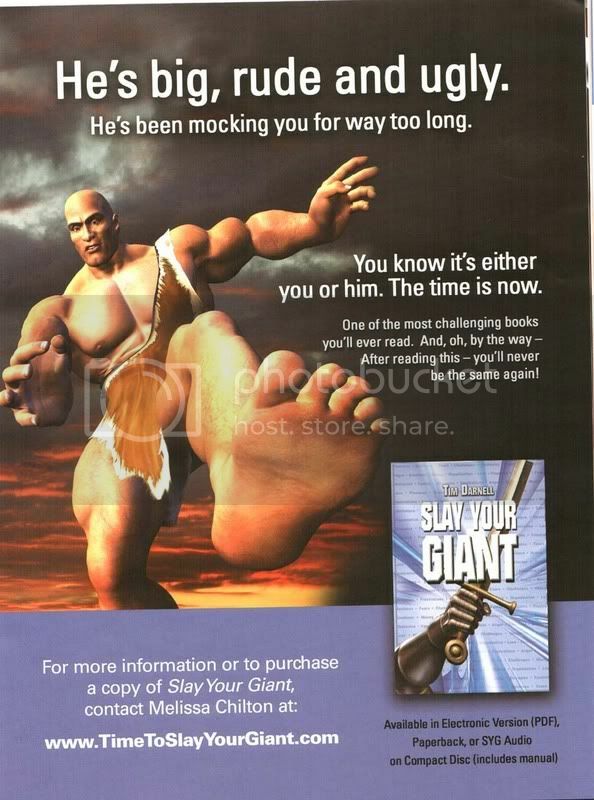 Without going into great detail, I find it truly predictable that I would face a formidable Giant the moment I began writing a book called, “Slay Your Giant”. That had to happen, would you not agree? But look at the positive aspect of this seemingly negative circumstance. How perfect the timing – a gift of first-hand, experiential data that would do nothing but give me greater insight into this important subject matter of Slaying Your Giant! I must tell you that I’m actually thankful and excited about this challenge. What better way to put Godly insight and advice into action! What I am sharing with you is actually serving to coach me through this battle. Frankly, I have never had more confidence in all my life. I am calm in Christ! I know that, by the time this book goes to press or shortly thereafter, I will have conquered this particular Giant, and I will begin gearing up for the next one who will inevitably appear. Certainly my attorneys are trusted and capable allies as I fight business issues. Jack Weinzierl, a business partner of mine I think of every time I say or write the word, Champion, genuinely puts God first in his life in all aspects of his life. He is also currently the top income earner at Advantage Conferences. Jack embodies all of the positive attributes that you’ve been reading about in this book. Jack is a runner and uses running to keep his mind clear and his energy level high. Among many, one of the wonderful character traits of Jack and so many millionaires I know is their genuine humility. Jack recognizes that he is no more than just a regular guy, but he also knows that through Christ he can do anything – he believes in being “more than a conqueror.” I know in my heart of hearts that Christ is proud of productive, men and women of excellence, the Jack Weinzierl’s of the world. You can’t put stock in unqualified peoples’ opinions, even if they are a beloved family member or someone you have respected in the past. Champions are more open to money flowing out and flowing in....The reason that people differ in monthly and annual income amounts is because each person “thinks their way” to different dollar amounts. We will be raising $250,000,000.00 for qualified ministries thru 2010. I project substantially more - 1 Billion dollars from 2011 – 2015, all for ministries that are truly doing God’s work. How, you might ask? God has given us powerful techniques that raise huge amounts of money without our having to ask a single person to donate a dime. Yes, you heard me right. God gave me the job of raising millions of dollars for His glory and for the help of His children. When I was given this mandate and vision called The Fundraising Advantage, I was on board without having a clue as to how this was going to be accomplished. When God tells me to do something (I hear the skeptics right now – Darnell you’re a nut), I don’t ask questions and I simply trust God that He will show me the path. I know that in His time, his mission for me will be fully explained. And that He has done. I have been patient and calm, knowing that the whole project was God’s. It was and is totally in His hands. The techniques are beyond anything I could ever have imagined, and most people can hardly believe it when I explain the power and rapidity with which we can put hundreds of thousands and millions of dollars into the ministry’s coffers. Again, we call the program, The Fundraising Advantage. Why would I tell you about this? Because the ministries you know that are truly doing God’s work need funding. 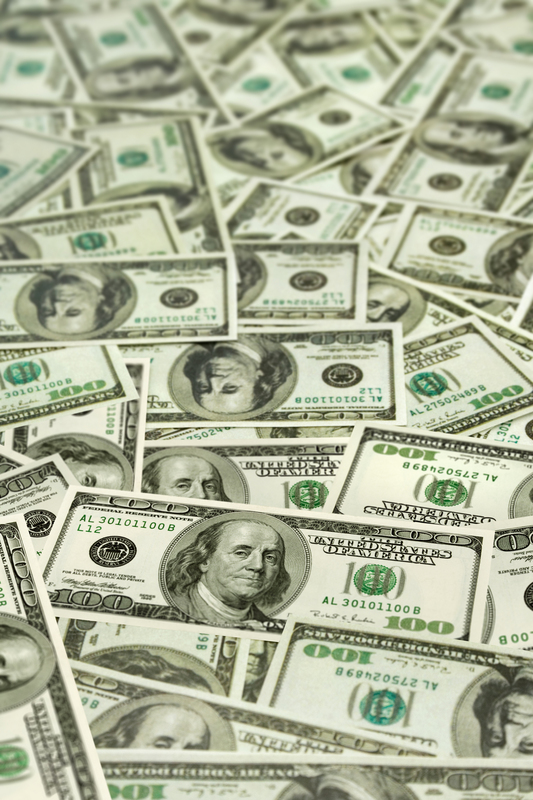 Money is a very good thing when it is used for Godly purposes and not for greed. I am humbled that God would choose me to serve in this way, and I am also very, very excited to share this with those of you who aren’t too skeptical to understand it. One must first GIVE in order to GET. I call this the Law of Circulation. You have to put money into circulation, rather than keeping it clinched to yourself. If you are fighting a battle on an uneven playing field, then you’ve been trying to create wealth via a mechanism that will never pay you appropriately. Many are actually purposely designed to “not” pay you well. Few compensation plans pay fairly and in large enough amounts. I am now conferring on you a gift that I absolutely KNOW is one of the single most important qualities you can ever possess in Giant Slaying. It is the gift of SUB, Sustained Unwavering Belief...SUB is what separates Champions from MPs. In Slay, Tim insists that God brought him the Hidden Treasures/Fundraising Advantage product. That sickening product bombed almost immediately as evidenced by the court papers. Then Mike Napoli, as published in Jack's blog, was told do not market TFA (Hidden Treasures), by God himself. Poor God just can't make up his mind. Both versions of TFA (The Fundraising Advantage) bombed with zero dollars in sales. No church, ministry or charity ever bought a conference and the Hidden Treasures bogus stranger owned life insurance scam ended with no policies underwritten. 60 reps got insurance licenses for nothing and some were ruined financially by their involvement in that disaster. So a whopping 0 / zero dollars was raised for charity / ministry etc. Yes, I said ZERO!!!! God never gave Tim a job to raise money. Tim gave himself the job of using His word to empty people's pockets. He has been involved in scam after scam for years now. Tim goes on to discuss the lawsuit against the "agency" which we all know is the Better Business Bureau and Dr. Jon Taylor. He thinks it is so telling that he has filed the lawsuit as he writes his silly giant book. He blathers on about how God has assured him he will prevail. The truth prevails and Tim is trounced in court in Summary Judgment. God changed his mind again and stabs poor little Timmy in the back. Tim talks of $400,000.00 dollars being embezzled from All Star Entrepreneur and has implicated Glenn Green and Claudia Cawley, but that lying fool never reported that obvious felony to the police or filed suit to recover those hundreds of thousands of dollars. A pretty flaky story to be sure! Tim tells folks to imagine their income with an extra zero. Ha!!! 98% lost money and took many zeroes off the end of their monthly income thanks to Timmy. Tim tried to slay another of his giants. He sued me and I kicked his rear end in court in Summary Judgment just as the BBB did. When is his wife going to put the brakes on this clown??? Tim, if he had the I.Q. of a head of cabbage would make that inane piece of worthless drivel disappear. He is proven a delusional fool by his own words. No one is going to pay to read that trash. His "Giant" the BBB kicked his bobo. His egregious insurance product is long gone. If I was him, I wouldn't want that crap available for the public to read. If one does want to read that ridiculous tripe, it is free all over the net. My close friend Judy Sterling graciously shared everything she had and knew about Advantage Conferences in order to see others would not be harmed as she had been. She and Tim had an interesting exchange about numbers. The numbers were a statistic that critics could use against him as the business was such a complete flop and financial disaster from the get go! Tim was always desperately trying to hide things and sweep things under the rug. Givers Magazine was a one issue wonder. The few that paid for the subscriptions never got the rest of the issues they paid for nor did he produce a coffee table book to replace those unpublished issues. It was a total dud!!!! I got a copy and notified all the advertisers that they were wasting their money. After promising 20,000 copies Judy said the clown only published 5000 copies. Only one advertiser was someone from outside of Advantage Conferences. Judy was exceptionally savvy and talented, but no one could peddle Tim's nonsense to anyone with any business acumen. Last edited by Soapboxmom; 08-23-2011 at 05:33 PM. I have called Tim an evil dictator for years. I was quoting his angrily departing reps. This rep whose e-mails I am posting spent $21,000.00 in All Star Entrepreneur before it went bankrupt. He only made money as he got part of the tiny percentage of matrix commissions that were paid on each sale and he had Jack Weinzierl as a recruit under him in the towering pyramid. He never made his second training sale and qualified, so all he ever got was matrix commissions. In 2007 Jack Weinzierl had only a few sales as the scam was imploding, so there was almost nothing trickling upstream. Tim Darnell couldn't have paid the matrix commissions even if he wanted to. Advantage Conferences was already drowning in red. The Better Business Bureau had emptied the account leaving only $500.00 dollars in May 2007. Tim sold his car he had paid cash for two years earlier to fund the conference and conned an 80 year old rep, Phil Orr into loaning him $30,000.00. Tim wrote that off in the Advantage Conferences bankruptcy two years later. This is when the huge mass exodus was underway. By January 2008 only 100 reps remained and that field shrank quickly as even Jack Weinzierl threw in the towel. This rep points out that Tim's packed calls were nothing more than a pack of lies! He also gave Tim a warning about how serious people were about taking him out. He noted that he had finally read Scam and that Tim had "some serious enemies that were ready to get you at all cost." He notes how Tim has lied cheated and deceived.